OSWEGO, NY – On Monday, at approximately 3:55 p.m. investigators with the Oswego City Police Department’s Anti-Crime Team (ACT) stopped a white colored Honda Civic on East Fourth Street just north of East Bridge Street. The vehicle was stopped as a result of an investigation into illegal heroin possession and sales occurring within the city of Oswego. The three adult occupants of the vehicle were detained as the investigation proceeded. 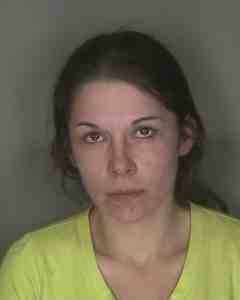 A three-year-old child was also in the vehicle. The subsequent search of the vehicle and suspects resulted in the seizure of 76 individual bags of heroin and one hypodermic needle, police said. 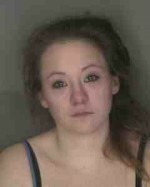 Alissa L. Miller, 25 years of age, of 105 E, Fourth St., Apt. 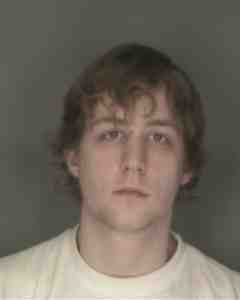 #2, Oswego – Criminal Possession of a Controlled Substance in the 7th degree- Class A Misdemeanor. Bort and Boeglin are currently being held at the Oswego City Police Department pending arraignment in Oswego City Court. Miller was released on an appearance ticket returnable to Oswego City Court on April 3 at 9:30 a.m.